The EOS 1500D just dropped in March and is the most affordable Canon DSLR yet, at only S$729 with an 18-55mm kit lens. It shoots with a 24MP sensor, comes with built-in Wi-Fi and NFC, but only captures Full-HD video. Comes with a free 16GB SD card, 32GB SD card, camera bag, neck strap, and tripod. The EOS M50 may have a smaller number than the EOS M100, but it’s actually the newer camera. 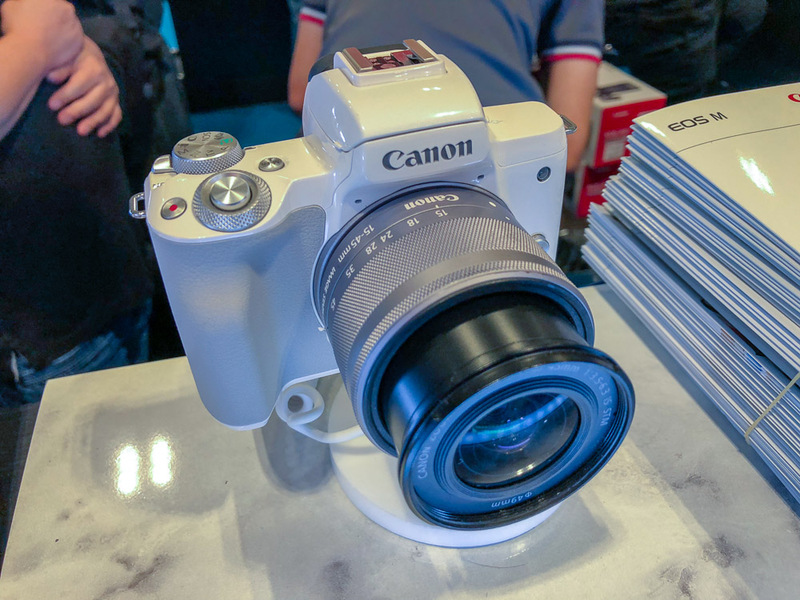 The entry-level model is the first Canon mirrorless camera to shoot 4K video and features a 24MP APS-C sensor with improved Dual Pixel autofocus. But you should know that Dual Pixel AF won’t be available while shooting 4K video, instead, the camera will rely on contrast detection AF. The M50 is available at the show at S$939 for the body (available in black only), at S$1,099 with the 15-45mm kit lens, and at S$1,469 with the 15-45mm kit lens and 55-200mm lens. All options with a free 32GB SD card, 64GB SD card, and tripod. If you register your warranty online, you’ll get an additional LP-E12 battery and Manfrotto camera pouch. 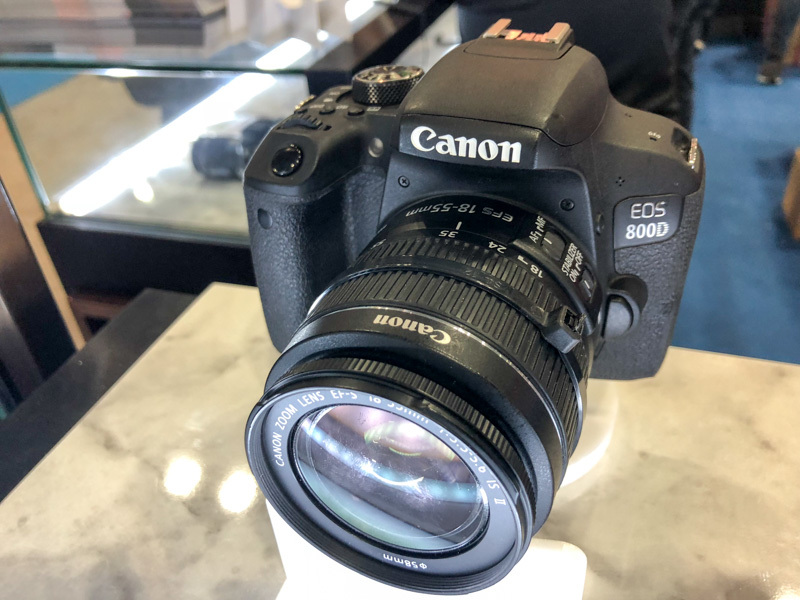 The EOS 800D is an upgrade option if you want something more than a beginner DSLR but don’t want to splurge too much on one. Canon’s excellent Dual Pixel AF lets you capture shots easily, even if you’re shooting through the LCD screen. 45 cross-type AF points help you nail the shot when shooting through the viewfinder. But like the EOS 1500D, the 800D only shoots video in Full-HD. 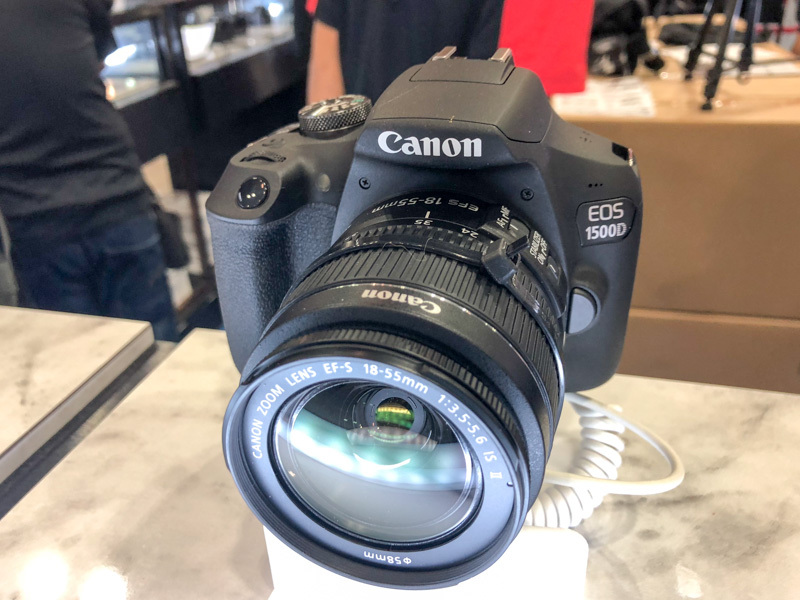 You can grab the 800D at S$1,099 with a 18-55mm kit lens (price after cash back, U.P. S$1,249), or at S$1,449 with an 18-135mm kit lens (price after cash back, U.P. S$1,599). Comes with a free 16GB SD card, 32GB SD card, camera bag, tripod, LPE17 battery, neck strap, and S$150 cash back. 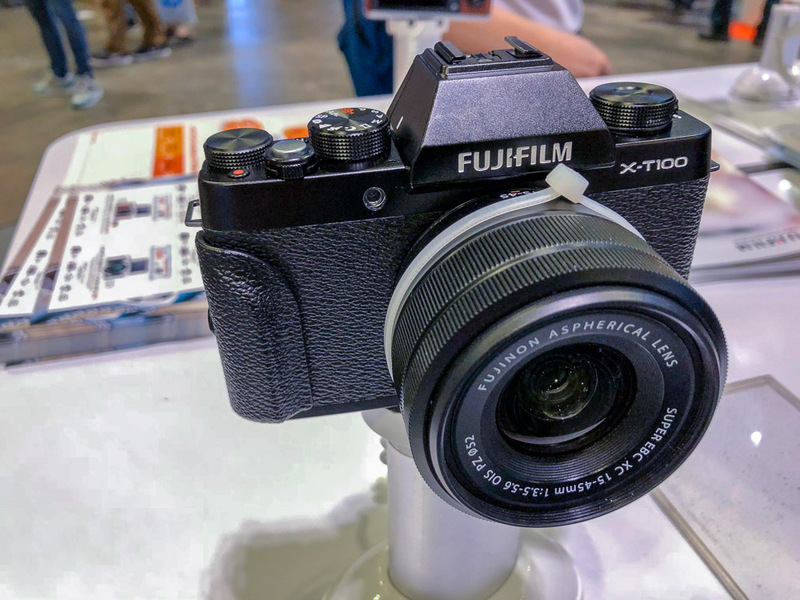 The X-T100 is Fujifilm’s newest entry-level camera. The camera has a 24MP APS-C sensor (Bayer, not X-Trans). Yes, you can get the X-A5 for less at S$999 (and S$50 cash back, with free tripod, bag, battery, photo print voucher, and X-series product workshop). The two cameras share common features, like a 24MP sensor, 91-point phase-detect AF system, and Bluetooth. But X-T100 looks nicer, has an aluminum top plate, and a new AF system made for the flagship X cameras. Neither camera really shoots at 4K, being capped to 15 frames per second. Full-HD video is fine, with frame-rates from 24P to 59.94P. The X-T100 is available for S$1,099 with the 15-45mm kit lens. Comes with a free tripod, bag, 16GB SD card, battery, photo print voucher, and X-series product workshop. 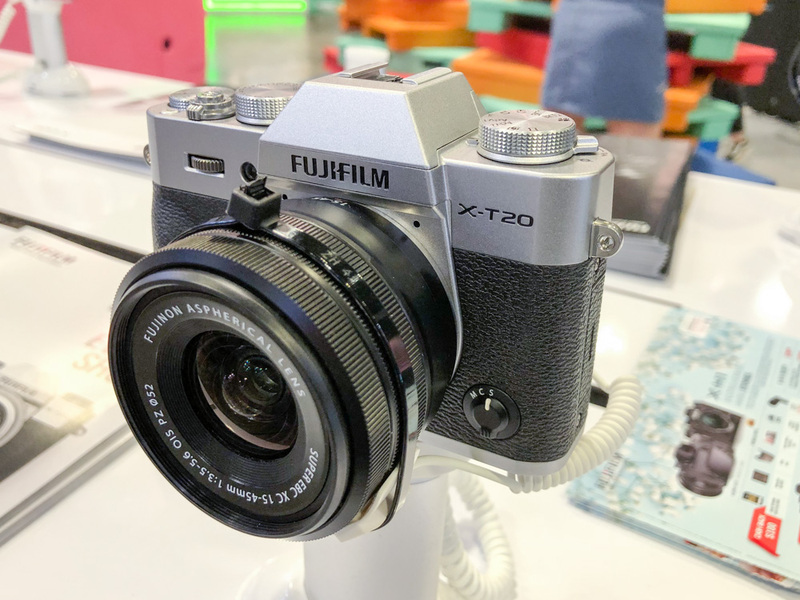 The Fujifilm X-E3 is available at S$1,499 (body only), S$1,599 with a 15-45mm kit lens, S$1,899 with a 23mm f/2 lens, and S$2,099 with an 18-55mm kit lens. 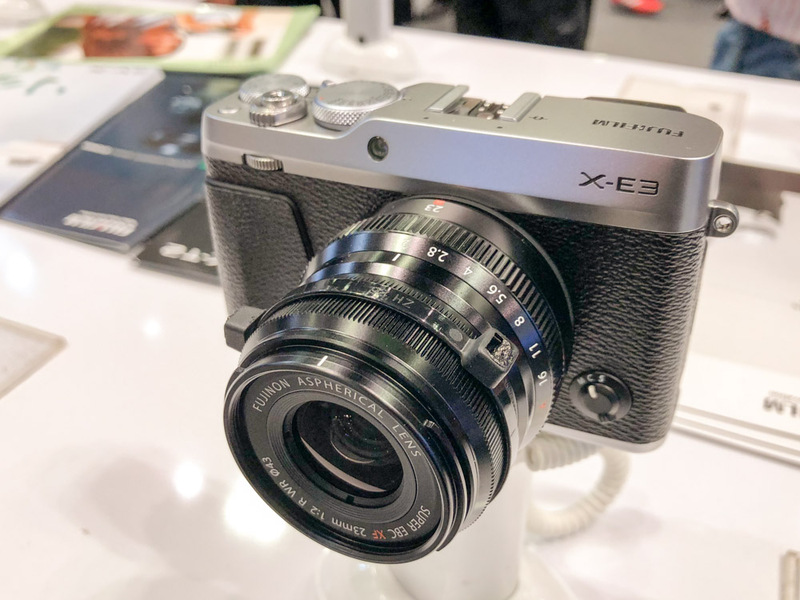 The X-E3 is the most affordable Fujifilm mirrorless camera with an X-Trans sensor, so it’s the one we’d get if we were on a budget. It does 4K video recording too, which is a plus. Comes with S$100 cash back, a free 50-230mm lens, bag, 16GB SD card, battery, photo print voucher, and X-series product workshop. The Fujifilm X-T20 gives you a lot of the flagship X-T2 for a lower price. Now S$1,499 (body only), S$1,599 with the 15-45mm kit lens, S$1,699 with the XC16-50mm II kit lens, S$1,999 with the 18-55mm kit lens, and S$1,999 with the 16-50mm and 50-230mm kit lenses. Comes with S$100 cash back, a free 50-230mm lens, bag, 16GB SD card, battery, photo print voucher, and X-series product workshop. Nikon’s entry-level D3400 DSLR ships with a 24.2MP APS-C sensor and is going for S$749 (with S$50 cash back) with the 18-55mm kit lens. It comes with a free 16GB SD card, 64GB SD card, battery, camera bag, S$150 Nikon School vouchers, card reader, and mystery gift. 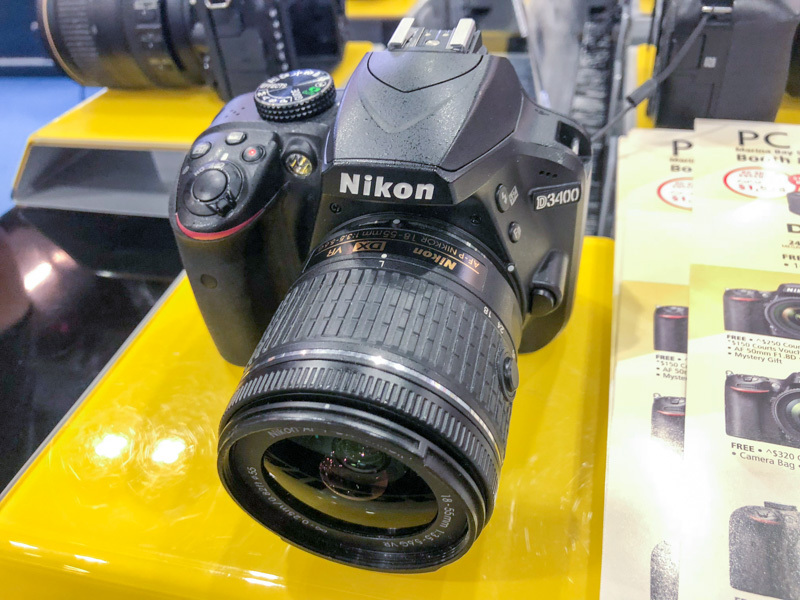 You should know, however, that the D3500 has just been announced, but isn’t at the show. The D3500 has most of the same specs, a smaller body and 30% longer battery life. It has an SRP of US$499 with the 18-55mm kit lens in the United States. 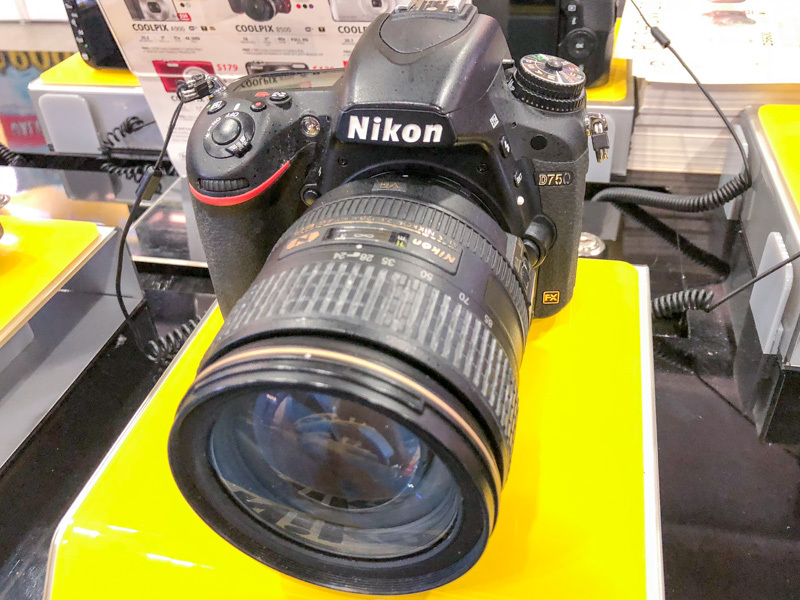 If you ever wanted to go full-frame, the 24.3MP Nikon D750 DSLR is on sale for S$3,549 with a 24-120mm kit lens (with S$400 cash back), or S$2,599 for the body only (with S$300 cash back). It comes with a free 16GB SD card, 128GB SD card, 50mm f/1.8 lens, battery, camera bag, S$150 Nikon School vouchers, tripod, dry cabinet, leather strap, card reader, and mystery gift. 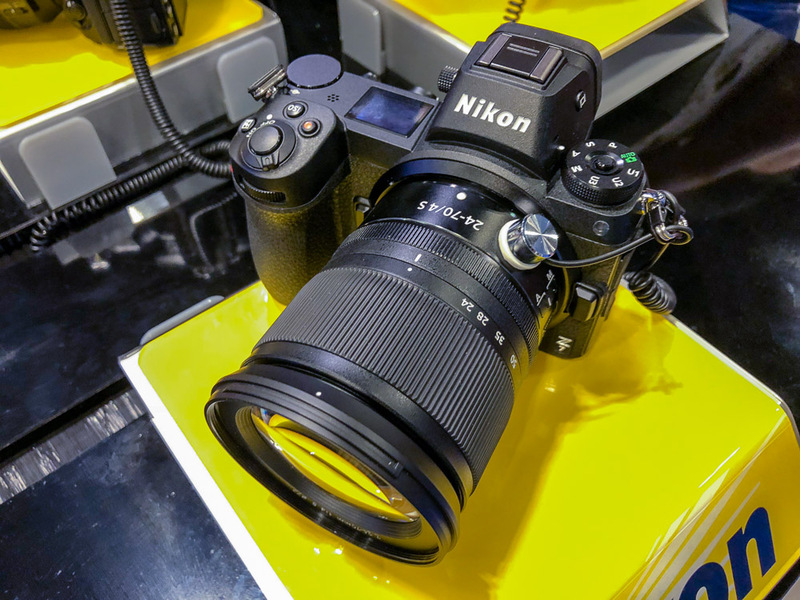 Surprise, surprise — the Nikon Z7 was announced two weeks ago and is at Comex 2018 to try out. The Z7 and the Z6 (which isn’t at the show) are Nikon’s first mirrorless full-frame cameras. The Z7 has a 45.7MP sensor, with 493 focus points, and sensitivity levels from ISO 64 to 25,600. The Z7 will ship end-September in the US, with no word yet on when it’ll reach Singapore. 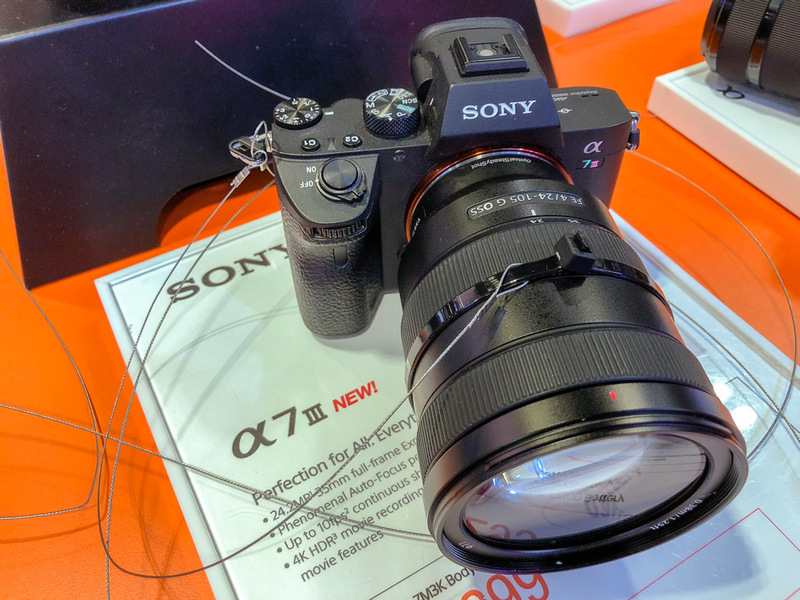 Nobody at the show could give us a local price, but the Z7 has a US pricing of US$3,999.95 with the 24-70mm f/4 kit lens. 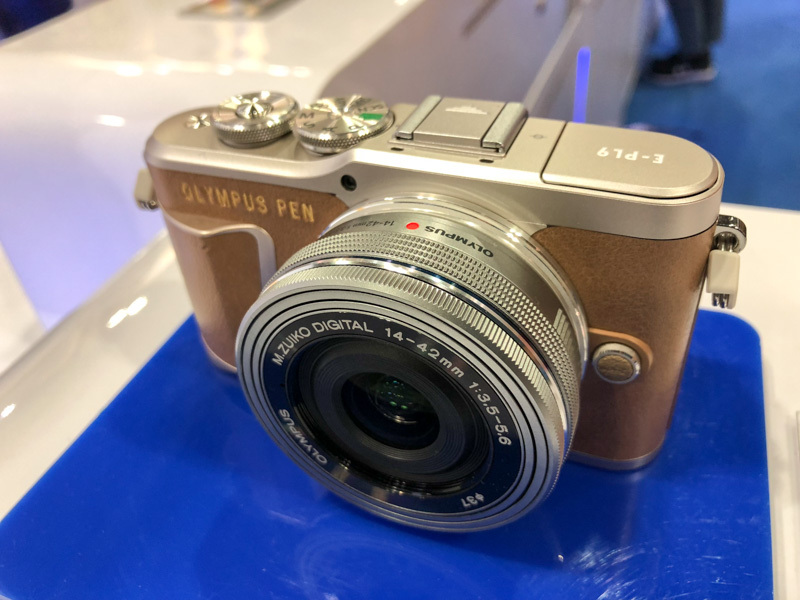 The Olympus PEN E-PL9 was recently announced in February. The camera uses a 16MP Live MOS sensor, but it gets the TruePic VIII processor first seen on the OM-D E-M1 Mark II. You will also get 3-axis in-body image stabilization, a 121-point contrast-detect AF system, and the ability to capture 4K video. It’s going at the show for S$988 with a 14-42mm kit lens and S$1,198 with a 14-42mm and 40-150mm lens. It comes with a free S$50 Courts voucher (limited to the first 20 customers per day), S$50 Olympus online store voucher, additional battery, 32GB SD card, fabric strap, Olympus bag, 3-month local extended warranty, and product workshop. 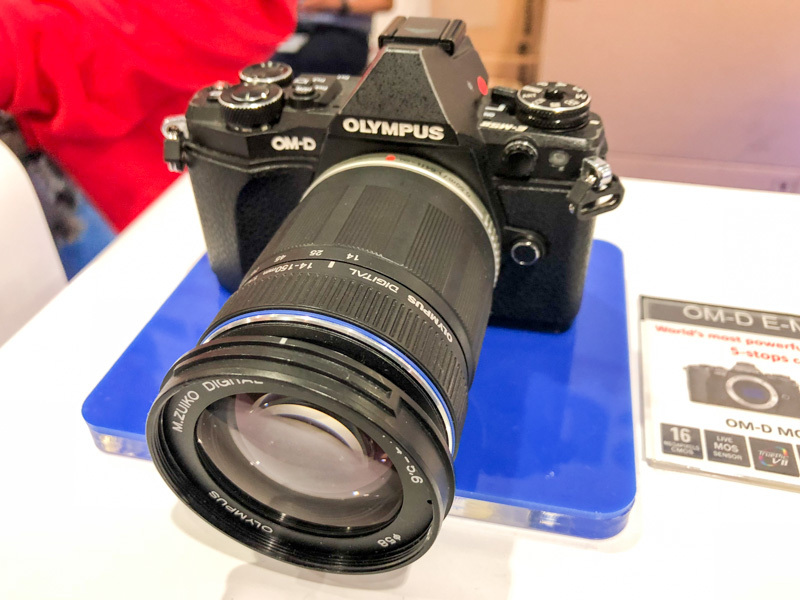 The Olympus OM-D E-M10 Mark III is one of our most recommended cameras for most people, and it’s selling at the show for S$1,198 with the 14-42mm kit (U.P. S$1,298), and S$1,398 with the 14-42mm and 40-150mm kit lenses (U.P. S$1,498). It comes with a free S$50 Courts voucher (limited to the first 20 customers per day), S$50 Olympus online store voucher, additional battery, 32GB SD card, Olympus bag, 3-month local extended warranty, product workshop, and S$100 cash back. There’s also a purchase-with-purchase promotion with a special price for the 45mm f/1.8 lens. 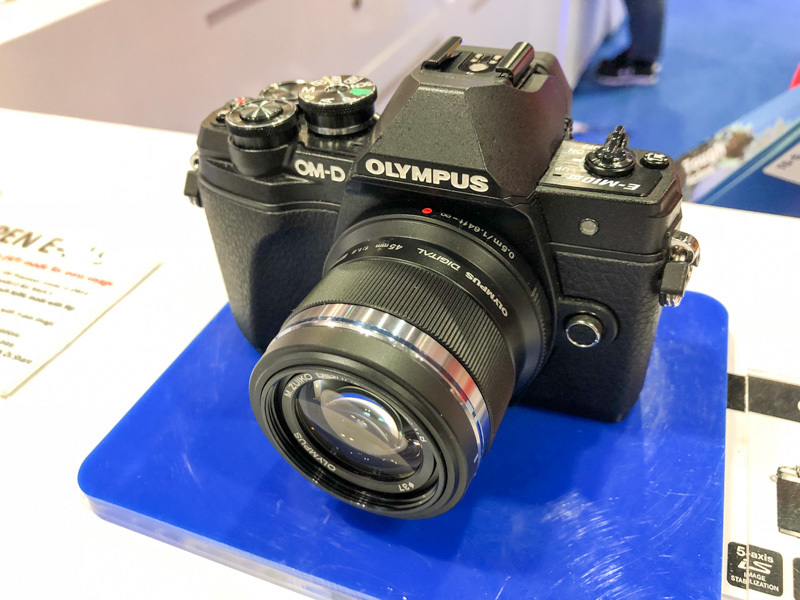 The Olympus OM-D E-M5 Mark II is going for S$1,698 (U.P. S$2,394) with a 14-42mm and 25mm f/1.8 lens. You can also grab it for S$1,298 for the body only (U.P. S$1,398), or S$1,898 with a 14-150mm kit lens (U.P. S$1,998). If you purchase at the show, you’ll also get a free S$50 Courts voucher (limited to the first 20 customers per day), S$100 Olympus online store voucher, additional battery, 16GB SD card, external grip, 3-month local extended warranty, product workshop, and S$100 cash back. There’s also a purchase-with-purchase promotion with a special price for the 45mm f/1.8 lens. The Sony α6300 provides a lot of bang for the buck. The mirrorless camera ships with a 24MP APS-C sensor that goes up to ISO 51,200. It can also record 4K video with no pixel binning in the Super 35mm format. 425 phase detection AF points cover the entire image area and the α6300 can shoot up to 11 frames per second. It’s available at S$1,349 (price stated is after cash back, U.P. S$1,699) for the body with 16-50mm kit lens, and S$350 cash back. Also at S$1,679 (price stated is after cash back, U.P. S$2,029) for the body with 18-135mm kit lens, and S$350 cash back. Or you can simply get the body only at S$1,129 (price stated is after cash back, U.P. S$1,479), and S$350 cash back. Comes with a free memory card, carrying case, and NP-FW50 battery. 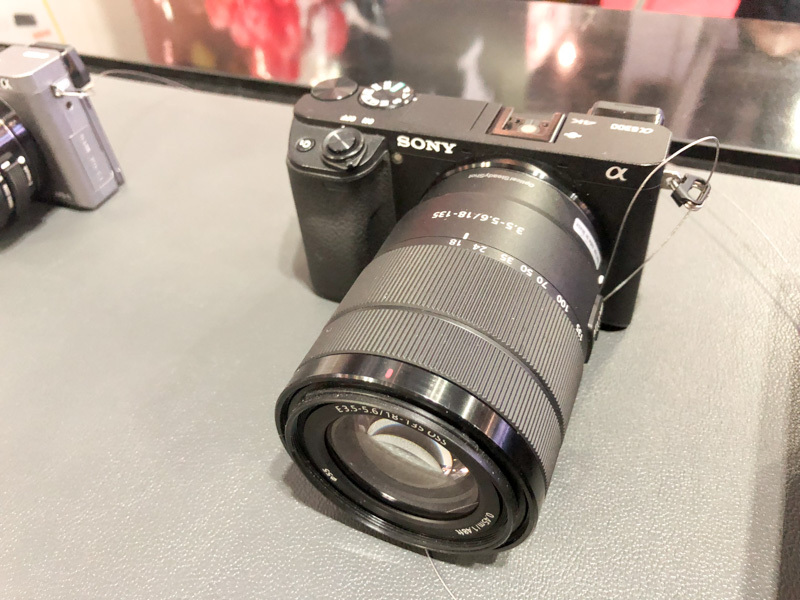 The new Sony α7 III mirrorless full-frame camera is at the show, without discount. But it’s so much better than the previous α7 cameras that we think it’s worth splurging for. The camera shoots with a 24MP sensor, with up to 10 frames per second of continuous shooting, and 4K HDR video recording. It uses a larger battery to get up to 710 shots per charge, which is exceptional for a mirrorless camera. The 693-point AF system covers 93% of the frame, with an AF joystick for manual control. It’s going at S$2,899 for the body only. You can also opt for the body with 28-70mm kit lens at S$3,299. Both options come with a free NP-FZ100 battery. Sony is selling the RX100 versions III to VI at the show (but not the IV). The RX100 III is going for S$769 (price stated is after cash back, U.P. S$1,199). It comes with a free memory card and S$430 cash back. 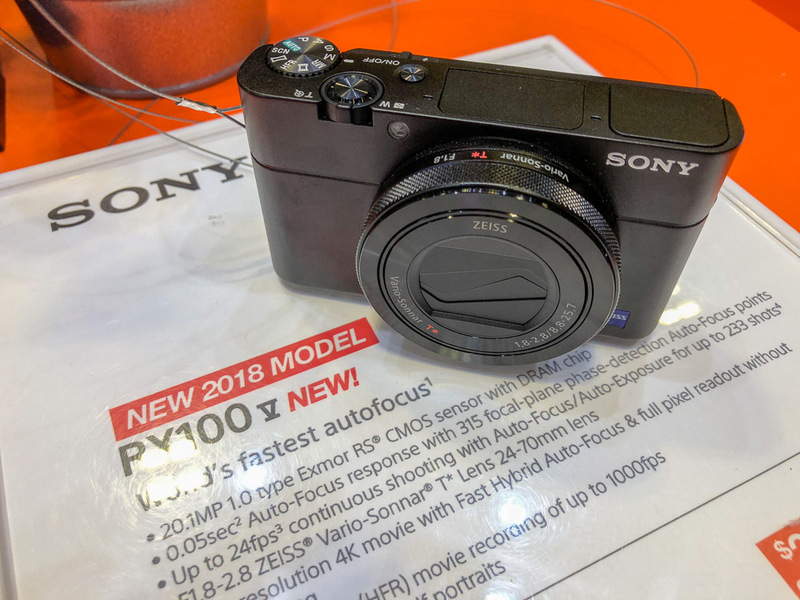 The RX100 V is selling at S$1,299 (price stated is after cash back, U.P. S$1,499). It comes with a free 64GB memory card and S$200 cash back. The newest RX100 VI can be had for a whopping S$1,649 with a free memory card.